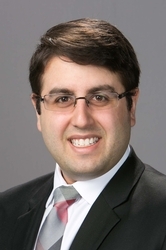 Joshua S. Fischer is an associate in the Princeton, NJ office of Hill Wallack LLP, where he is a member of the Trial & Insurance practice group. Mr. Fischer concentrates his practice in complex insurance coverage and insurance defense matters. Mr. Fischer earned his J.D. from Seton Hall University School of Law, where he served as an Associate Editor and Submissions Editor of the Seton Hall Law Review. He received his B.A. in International Relations from the University of Delaware, where he completed minors in Legal Studies and Spanish, and was a member of the Mock Trial Team. Mr. Fischer is admitted to practice law in New Jersey (2013), New York (2014), and the United States District Court for the District of New Jersey (2017). Prior to joining Hill Wallack, Mr. Fischer’s practice focused on representing insurers in complex insurance coverage matters, and defending insureds in personal injury actions. Mr. Fischer also previously served as a Law Clerk to The Honorable Rochelle Gizinski, J.S.C., in Ocean County Superior Court, Law Division, Criminal Part.